Traversing music- from the underground, up through to the garage, continuing on into an undefined space in the air. Interesting, edgy, and bordering on erratic- this jagged rock revolves around an urgent delivery. Many unique elements formulate a cohesive, professional sound. 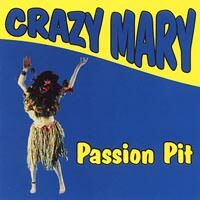 But their CD Passion Pit really speaks for itself and eludes description. This N.Y. foursome has a penchant for dark, brooding material on their eight song CD which, for the most part, is a very uneven, mixed bag all the way – including a tribute tune to the infamous Johnny Thunders. The story-driven “Pigeon to Disease” though, had a quick-paced, jungle drum drive that immediately made me forget the songs that came before it. Good performances all around on this demo. 90’s psychedelic offering from this NYC quartet. Good grooves and solid execution and I was surprised by the songwriting. Vocals sound like a new Holy Modal Rounders variety. A cool fun listen, getting college airplay; watch for these guys on a big label soon.